Richie Benaud was laid to rest today at a small, private ceremony in Sydney. The use of the term great is too prevalent in this day and age, but for what this man did for cricket, both on the pitch and behind the microphone, he deserves the accolade. Born in New South Wales on October 6th 1930, Richie passed away last Friday aged eighty four. Here we look back and celebrate the life of the master of the microphone. The chances are, that if you are reading a mind numbingly juvenile blog such as this, then you are under sixty years old. If so, you will remember, like me, Richie as the voice of cricket. However, there was much more to him than that. A leg spinning all rounder, Richie had many facets to not only his game but his whole career. An aggressive, yet brave batsman, Richie recovered from a fractured skull early in his career to work his way into the strong New South Wales team of the forties and early fifties. 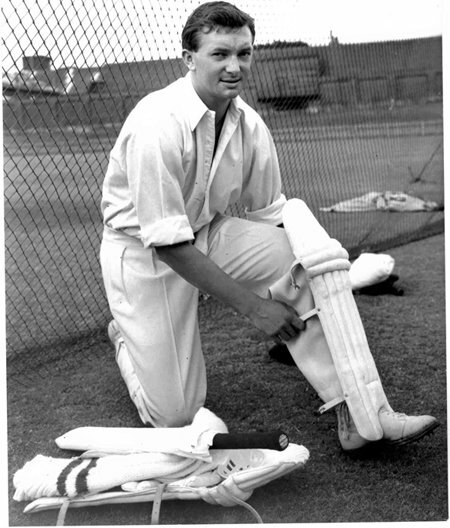 Benaud was also a fine fielder, with most of his best work being close to the bat showing courage in those helmet-less days. Primarily picked for his bowling, Benaud wasn't a huge turner of the ball for a leg spinner, but had a flipper and a top spinner often foxing batsmen with this delivery that shoots through trapping people for pace. An outstanding captain, he led from the front and was skipper of Australia in that, yes THAT tied Test versus the West Indians in 1961. In all Benaud played 63 Tests over a twelve year period for Australia. In those times of cricket not bowing down to its paymasters, and cramming Test matches into the calendar, that was, as Richie would say, "Remarkable". Benaud got into journalism and commentary having stayed on after the 1956 tour to England and worked for the BBC. A distinctive voice, he was the master of the pregnant pause and often his silence spoke volumes. Resplendent in his cream suit, Beanud worked for Channel 9 in Australia and the BBC here, and was a man of morality, putting the game of cricket often before his national pride in Australia. Vocal about the underarm delivery that soured relations between Australia and New Zealand, he was also like us on these pages, an advocate of cricket being on free to air television. Many memories and anecdotes have been in the newspapers in recent days regarding Richie. The 1981 series of 'Botham's Ashes' springs to mind, and the following year when I first saw the wily leg spin of Abdul Qadir, and hearing it explained by a leg spinner such as Benaud sticks in the memory bank. 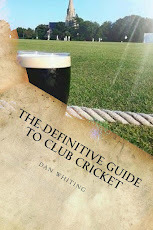 His expertise with regards to the subtleties of that art, explained with a dual purpose that enthralled cricket experts, yet could be understood by a twelve year old lad like me, simplified the game yet enriched it at the same time. No wonder the likes of Shane Warne resurrected leg spin; a dying art at the time. Another thing I loved about him were his idiosyncratic sayings. A Dorothy Dix was regularly referred to by Richie as the maximum in cricket. Dorothy was apparently an American Agony Aunt. His quote on captaincy as "Captaincy is ten per cent skill, and ninety per cent luck, but don't try it without that ten per cent" and in one day cricket once described Bruce Laird as moving position saying, "Laird has been brought in to stand in the corner of the circle". Richie was fantastic for the game, and everyone knew who he was. He put cricket on the national stage, with many non cricket people knowing who he was. This was due partly to the game being on terrestrial television, but also a testimony to the man that he was. A gentleman to the end, it was fitting that he hung up his microphone after the greatest series ever in 2005 between the country where he worked from June to September, and the country of his birth. 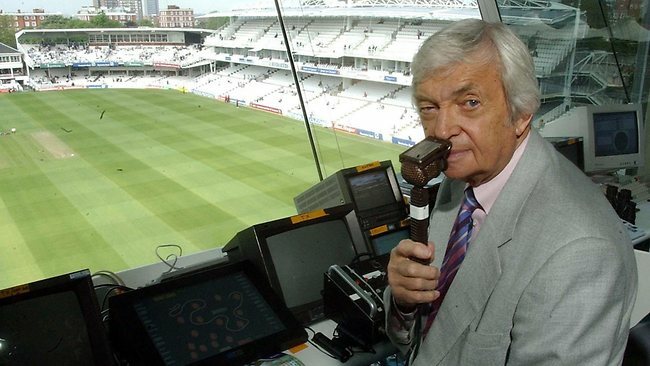 The game of cricket is poorer for the loss of Richie Benaud, but my memories richer. Lovable, avuncular and wise, the cricketing gods have gained a maestro. Benaud belonged to a bygone age, a more innocent era, where cricket didn't have to be about bigger bats, big sixes, cheerleaders, T20 and ultimately, money. He belonged to a time when you didn't have to pay to watch the game on television. Farewell Richie, you have been.....marvellous. Marvellous (sorry, but you took that word out of my mouth) tribute to a great man. Richie will always be part of summer from my youth (which, from the sound of it, goes back a little further than yours). He was always scrupulously fair in his comments, and knew when to make them (and, as importantly, when not to). A great man who will be missed by everyone who loves cricket.